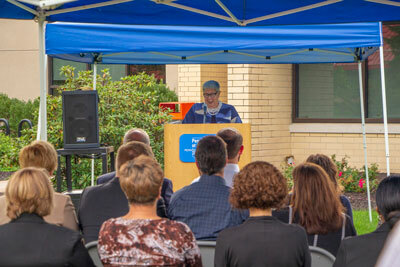 Representatives from Lycoming Engines and the Penn College community gathered on October 2nd to dedicate the Lycoming Engines Metal Trades Center sign on the front lawn of the facility. 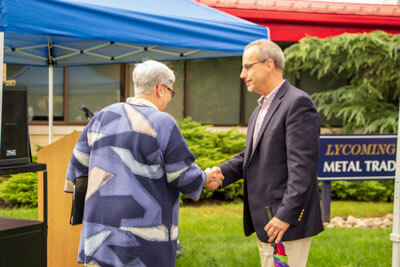 This facility also serves as the College’s authorized training center for Lycoming Piston Engine Service School, in which instruction takes place annually for more than 200 participants worldwide. “Efforts to increase S.T.E.M. 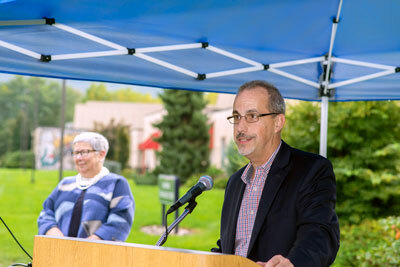 studies in schooling are important, but its also important to train the workforce that supports these efforts”, said Mike Kraft, Lycoming Engines Sr. VP and General Manager during the sign unveiling and dedication event at Pennsylvania College of Technology. 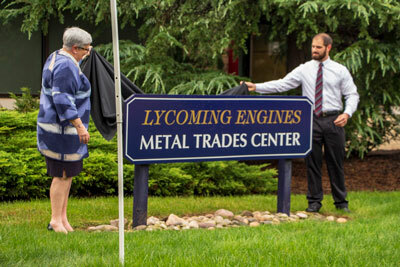 Constructed in 1980, the 26,802-square-foot Lycoming Engines Metal Trades Center is home to tool and die making, metal trades and the college’s welding labs, along with various classrooms and offices. 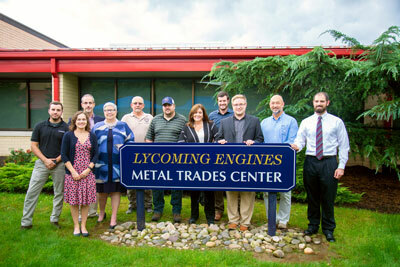 Lycoming Engine’s relationship with the company dates to the 1930s, when industrial education coursework that would eventually become the foundation of one of the college’s predecessors, Williamsport Technical Institute. 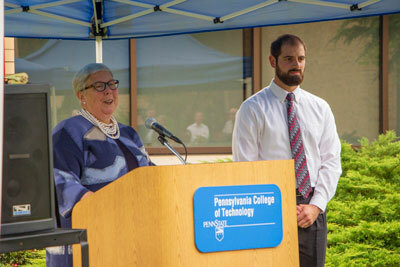 Lycoming looks forward to a continued long-lasting partnership with Penn College and is excited to see their experienced graduates join our industry and community.